That's really interesting. I honestly do not remember how I got mine and I also don't remember if I've ever seen one in a single mailer box. Weird. I have one person who confirms they got it in the mail thus far. Another guy thinks he got it that way, I'll put him in the "maybe" pile. I did. I only got 4 of the figures as a gift (Starbuck, 2 Cylons and the green insect alien), but mailed away for the gold Cylon (that and Boba Fett were the only mail-aways my parents ever let me get). I remember finding out we were moving out of state a few weeks after I sent away for it and sweating out whether it would arrive before we moved. 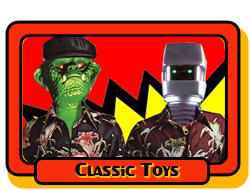 Definitely got one in the mail when I was a kid. Had two silver Cylons, the Ovion, and Starbuck and Adama, and had an extra comic book with the ad in it. Sent away and 4-6 weeks later, a white mailer box with this golden hunk of Cylon showed up. Lord, I still wish I had all those figures. No, never had one, but it is awesome! never did but certainly remember the ad. 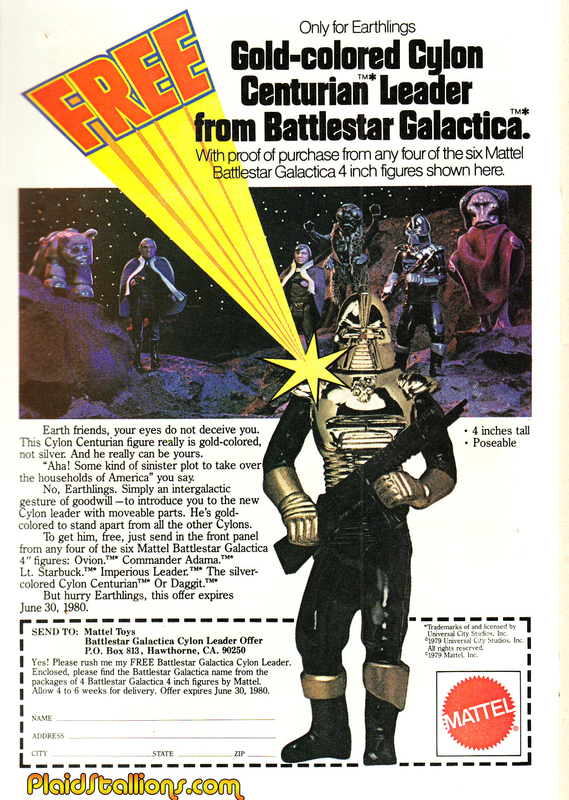 I remember seeing that offer in the comics and really wanting the gold Cylon! But I never did send away for it... Not sure if that offer would have been valid for Canadian residents, anyway.